CupCare, a product that makes bra more comfortable. Intially the company did some market research to find out about the views on bra comfort from female audiences. 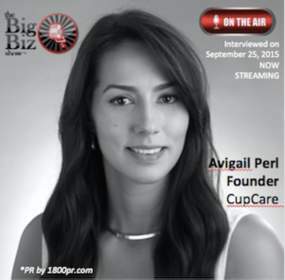 Once Avigail Perl, the founder of Cupcare decided to launch CupCare, they got investment from angle investors and began manufatruing. Finally, they promoted their product through an Indiegogo crowdfunding campaign. This campaign is a great way to show the company's launch product to the crowd and get reviews from larger audiences. The product is pre-selling on the launch campaign and will be available next month for shipping.